Is your 6.0 Powerstroke having trouble starting? Do you have a check engine light with any of the following OBD codes? If so, you might be experiencing FICM failure. This is a common issue for these trucks, and I think most 6.0’s will have problems with the FICM at some point in their lifetime. What the heck is this FICM thing you might ask? Upgraded control board over Ford & International OEM replacements - 5 YEAR WARRANTY! $250 refund with the return of your original module! Ford 6.0 Powerstroke FICM programmed and ready to install. 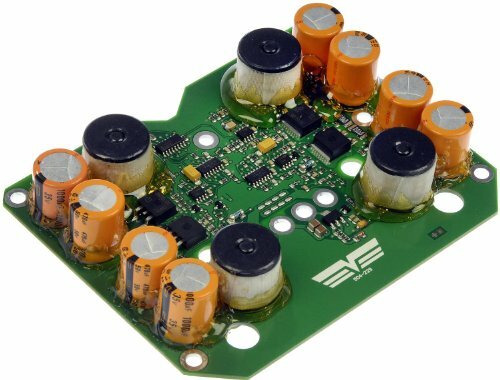 This module has been refurbished and upgraded to ensure continuous voltage to the fuel injectors. The Fuel Injection Control Module – is an electronic module in charge of deciding the amount of fuel to deliver to each of the cylinders. It does this by relaying voltage to close and open each cylinder’s fuel injector, to deliver the pressurized fuel with the correct timing. As your truck racks up mileage, the FICM starts having trouble in doing its job correctly. A big issue with these is with the solder on the output circuit board. Over time, the solder fails on the connections for the components of the board, and as a result the output voltages drop below the required parameters. Damage to the FICM is mostly caused when your batteries or alternator are too weak to do their jobs adequately. These 6.0’s come with only an 110 amp alternator, the same kind that Ford uses on some of their passenger cars, not very robust at all for the powerstroke needs. This is a bad thing because when cranking your powerstroke, the glow plugs and just the required starting electronics can draw about 230 amps. You can easily see the issue of having a weak electrical system there. A good practice is to periodically check your charging system, especially the batteries. If your truck isn’t your daily driver, you can extend the life of those expensive batteries by using a desulphating smart battery charger. If it is already too late for your old batteries, it might be time to upgrade to AGM batteries. An upgraded alternator can also make a big difference in the life on the onboard electronics. A higher amperage alternator for the 6.0 powerstroke is a very good upgrade for your truck’s electrical system. In order to verify if you are in need of a FICM repair or replacement, you will want to check the output voltage on the module itself. Set your multimeter to DC volts and attach the negative lead to the battery negative terminal. Touch the positive lead to the pin on the FICM that is closest to the driver’s side. Don’t led your lead touch the case! Read the voltage, it should be right at 48v and no higher than 49v or lower than 47v. 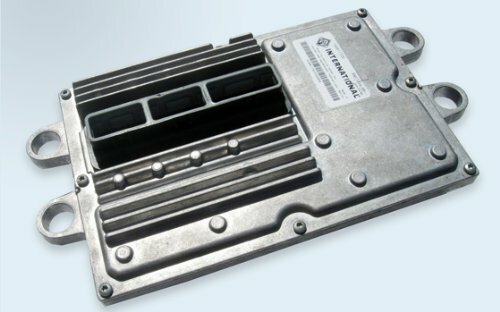 There are a couple of different ways to go about fixing your defective fuel injection control module, the best option is simply repairing the part that has failed in most people’s broken FICM. By far, the most module issues that people experience come from a failed power supply circuit board. The good news is that the FICM power supply board is a cheap and easy fix. This fix works for the 6.0 control module found in late 04-07 Super Duty pickups, and the Econoline vans, which also used the same module up until the 2010 model year I believe. The actual repair is pretty simple, once you’ve gotten your FICM out of the truck, you just have to open the case and remove the Torx (T10 and T20 bits are required) screws to get at the circuit board. The best part is that by just replacing this board, the repair is a fraction of the cost of replacing the entire module as a whole part. The below video is the best walk through that I have seen for this repair, as you can see it really isn’t that terrible of a job.